Estonia, 22nd June, 2018- Ibinex has been turning heads since its launch. And this is one more milestone gracing their eventful journey. Ibinex started with breaking the limitation on spaces dealing with digital currency when it became the first digital currency to be registered with FinaCom. Moreover, it gives completely consumer friendly and supportive solutions for several businesses which seek assistance with crypto currency solutions. Moreover, it deals with white labeled businesses and their long term aim is to be the most reputed broker when it comes to establishing white labeled exchanges. About the working methods of Ibinex, its founder Simon Grunfeld talks about how his company goes about understanding project and consumer requirements, that is, how he assists the various ICOs, “I try to understand their background, what their capabilities are, who’s on the team, what the opportunity is, their strategy, their marketing mix, how they are going to do things…a lot of clients already have all that in place. “ Besides understanding the business dynamics of various initial coin offerings, his team of experts also try to manage these several banking operations for the ICOs. It would have been a mammoth task for any company to be a trail blazer in this field if there wasn’t a characteristic which made it different from other such service providers, Grunfeld clarifies this by saying, “We allow our not just to run an exchange but we provide the liquidity to run it as well. They don’t have to source it; they don’t have to go out, run around and try to find relationships and find inventory. We do that as well.” It would not be an overstatement that Ibinex assists the companies from day one till they reach a stage of security and strength to the best of their understanding and resources. The latest landmark unearthed by Ibinex is the fact that it has been given a license for yielding services for digital trading in Estonia. The announcement of this milestone was made on the official company website. Moreover, this license stands as evidence to the legacy of the dedicated, intelligent and professional services of this company over the four years since its launch conducted in 2014, by Simon Grunfeld. It is needless to mention that this turn of events stands to increase the consumer base of this Ibinex manifold. It is therefore not a surprise that it has decided to expand its functions and the provision of services as well. The new services which will be made available post the granting of registration with European union would stand to augment the plethora of reasons which have led to Ibinex being the most sort after company over these few years. These new services are, transferring as well as storage for these virtual currencies, and most importantly, both cold and hot wallets will be made available. About this new development Grunfeld said that the company is on the lookouts for other such positive breakthroughs in the region of European region, these kinds of official positions can allow Ibinex to expand its consumer base and operations in a way that it stands to adhere to a “compliant framework”. Ibinex shows an understanding about how this can affect the other companies to and might lead to possible business opportunities for them as well. Grunfeld also said that the company is extremely excited at the realization that it has come to be one of the few major exchange companies which has obtained license from Estonian law. It is quite clear that security is of prime importance to Ibinex and it therefore takes intensive are when it comes to consumer satisfaction with respect to security; it intends to create a distinct set of keys which will prevent any danger from befalling the encrypted keys of its consumers. It has been made quite clear that consumer security is of prime importance to Ibinex and it would see to it that there is a watertight and flawless system in place for all its consumers across the European Union. This decision from European union did not come easily, there have been several arguments regarding the same, however, with this finality of stance, it can be safely said that there can seen an increased level of acceptance regarding crypto currencies in this part of the world and it may soon open its arms wider for the other companies providing similar services, as well. Moreover, other countries such as Latvia might also eventually render a wholesome recognition to crypto currencies under, following in the footsteps of its neighboring country, that is, Estonia. 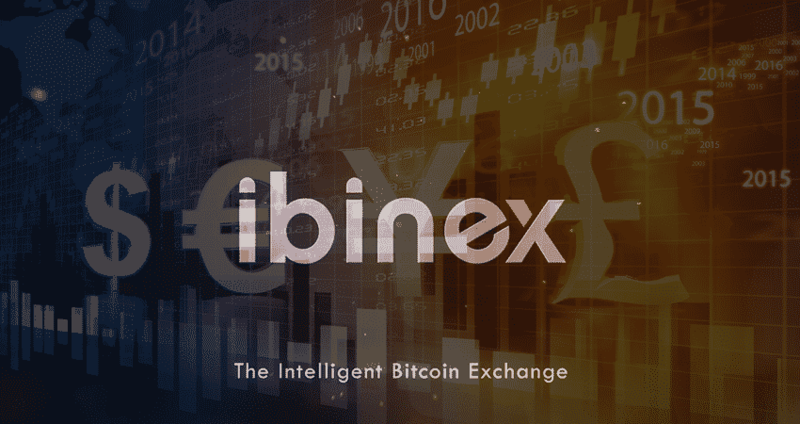 Recent reports suggest that there is a vibrant future ahead for Ibinex, about this, the CEO of Ibinex says, “we actually have a plan currently in the works which we call the Ibinex ecosystem, which is going to provide much needed value to our clients, to our exchanges, that they wouldn’t be able to achieve on their own”. It should not escape one’s notice that another feature which takes Ibinex one step ahead of its competitors is the fact that it provides holistic assistance to the white labels, and has come out as a pioneer in its clarity of action, precision and detailed research in the background and requirements of the clients and complete provision of security.